I always say a gardener’s work is never done. My mom recently got a new shed for storage. I told her once the shed was installed I’d add some flower beds around it for her. Well, the new shed was put into place last week. That meant I needed to get busy with my end of the bargain. 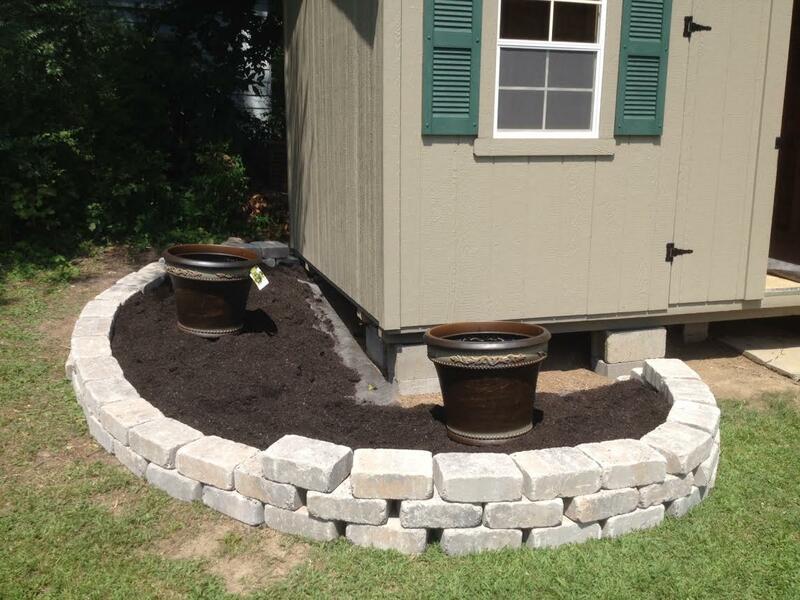 So on Sunday while I was still in town, we bought the bricks and dirt and built a flower bed on one side of the shed. It was too hot to add flowers, so we’ll be doing that in September when I go back for her birthday. Our plan is to plant bulbs and transplant some other things from her yard that need to be split up. But she was proud of the bed and I was too!